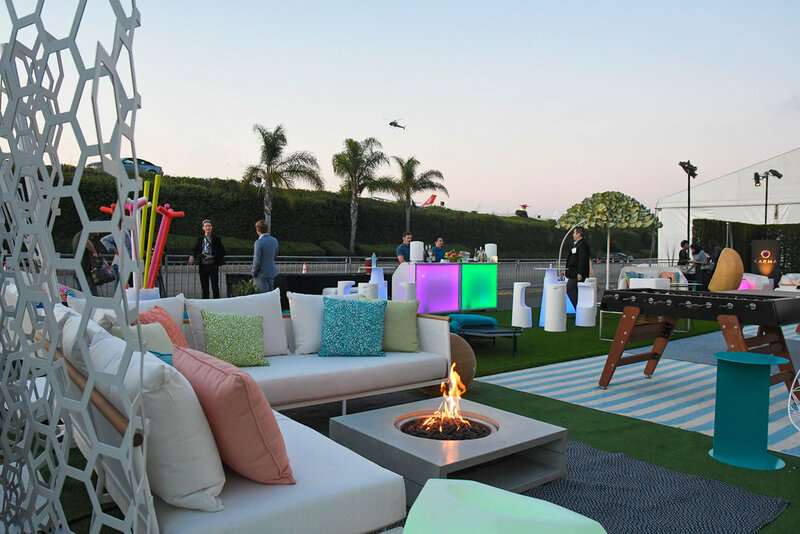 | October 2017 | V Starr Interiors by Venus Williams is doubling up with Juniper House, distributor of over 20 luxury outdoor brands, to create a stylish outdoor lounge for WestEdge Design Fair 2017. Based in South Florida, the firm looked to its indoor / outdoor lifestyle as a major source of inspiration for the lounge’s design. Acting as a spot for both play and respite under the California sunshine, the environment will feature a bar with refreshing cocktails, gaming tables, and outdoor grilling demonstrations. V Starr Interiors selected from Juniper House’s sophisticated Ego Paris Hive, Oasiq Riad, and Cane-Line Breeze Collections to create the inviting space. “Like the transition from lively outdoor activity to indoor comfort, the lounge will be dynamic with a sophisticated ease. We love to infuse a bit of whimsy whenever possible, so we've added fun glow-in-the-dark seating as well as ping pong and foosball tables to the space,” says Sonya Haffey, V Starr Interiors' Design Director. She continues, "We are so excited to partner with Juniper House, whose products embody these qualities!" WestEdge Design Fair is a California-based design trade show that was founded five years ago by co-founders and show producers, Megan Reilly and Troy Hanson. WestEdge 2017 will take place October 19-22 at the Barker Hangar in Santa Monica, CA. For more information or to attend the show, please visit www.westedgedesignfair.com.